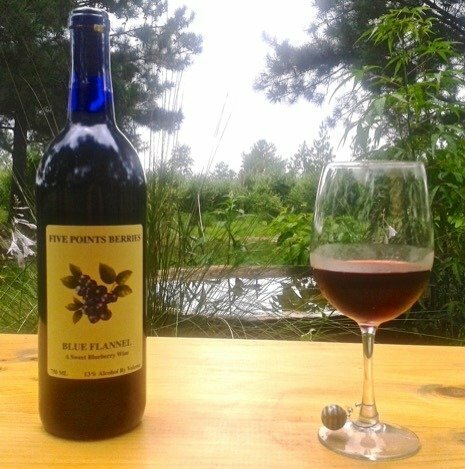 Get a refreshing taste of local wines from Five Points Berries, a small family orchard and winery in Mauk, GA that has been producing a variety of rich-tasting blueberry wines since 2007. We offer 6 different blueberry wine brands, each with an extraordinary bouquet and taste that will surely captivate your senses. Browse through the wine variants we offer to learn more about our products. 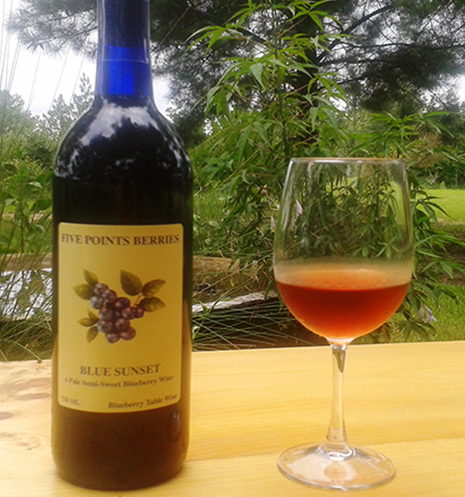 Blue Sunset is one of the pale wines we offer. This is a sweet table wine that pairs well with any white-fleshed fish. It is a light bodied wine with a crisp finish. 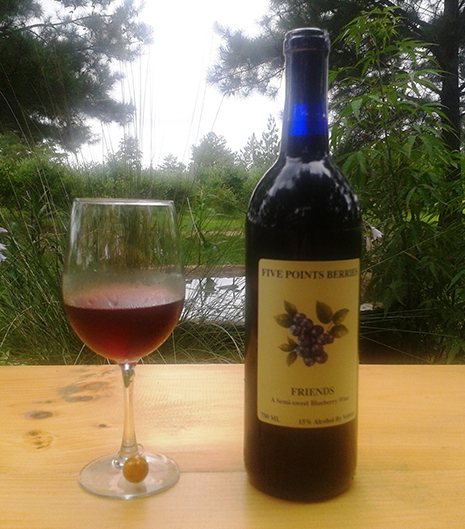 Friends is a semi-sweet red wine, and our most popular wine. This 15% wine makes excellent sangria and pairs well with any red meat or red marinara pasta dish. 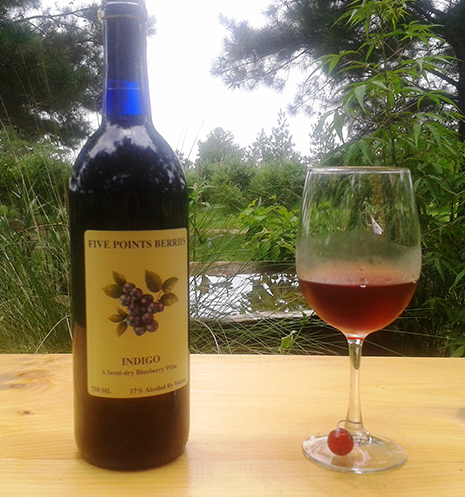 Most Merlot fans love our Indigo wine. This is a 17% semi-dry red table wine that goes well with lamb and beef steaks. This and Swiss cheese can make a good pairing. 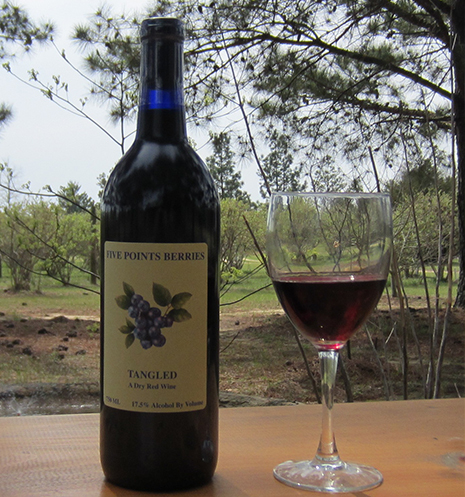 Tangled is a dry red 17.5% wine that could resemble a Malbec. 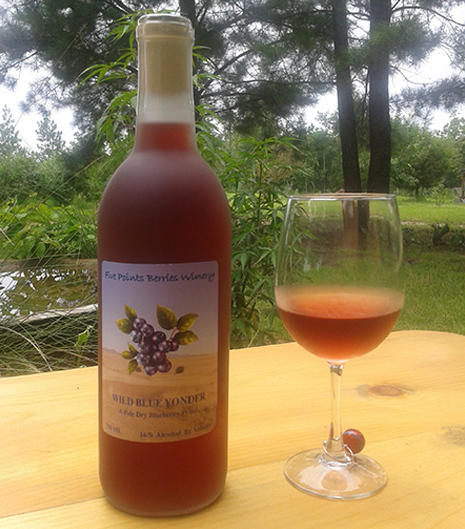 It has a pleasant bouquet of berries that transfers to the palate leaving a fruity flavor. It finishes like it was never there. Serve at room temperature with beef or lamb, chilled as a sipper with Swiss or Gouda cheese. Wild Blue Yonder is a pale, dry 16% wine. Its taste will remind you of ruby grapefruit with a burst of berry as it leaves your palate. This wine pairs well with pork or any shellfish. Serving Muscogee, Chattahoochee, Talbot, and Marion Counties. Contact Ashley Branham at 706-580-6743. Why not complement your meal with one of our table wines? Next time you dine at a restaurant in Columbus, GA, ask a sommelier for our brand of wines available by the glass. You can enjoy a glass of our wines at 11th and Bay, Meritage, The Loft, and Multitudes restaurants. Our products are sold in over 30 stores statewide, and the list grows monthly. If you want to know where you can get bottles of our wines, feel free to send us an email and we will provide you with an up-to-date list. Additionally, if you have a favorite wine store in your area that has yet to sell our wines, contact us today and we will do our best to provide them with a stock of our wines.